Dua Lipa showed off her vocal skills during a live performance on 'The Ellen Show'. 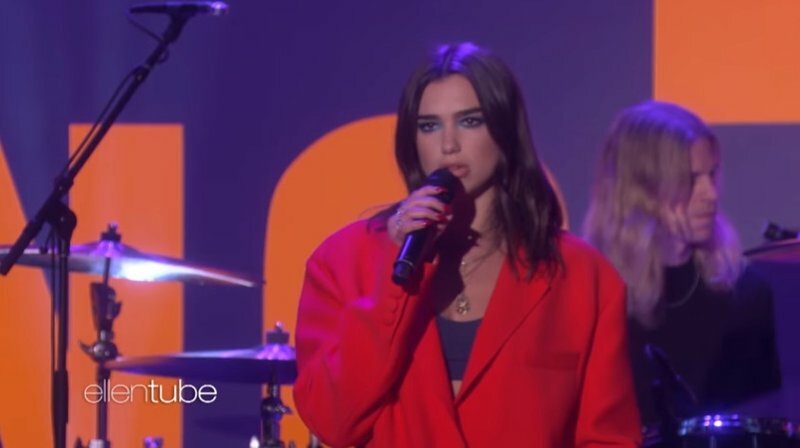 Dua Lipa returned to 'The Ellen Show' this week to perform her latest hit, 'IDGAF'. Dressed in an over-sized suit, the English singer took to the stage surrounded by her back-up dancers, who were also dressed in suits. It was Dua's second appearance on the show in a month. The 22-year-old stopped by 'Ellen' in February to perform her smash hit, 'New Rules'. Dua showed off her vocals once again during her latest live performance on the show.